NEUTROGENA Hydro Boost® Smoothing Exfoliator Gel is an innovative gel with soft, naturally derived micro beads that gently exfoliates and removes impurities whilst delivering a vital boost of hydration. The combination of NEUTROGENA® cleansing technology, hydrating agent and Hyaluronic acid which is naturally found in skin, help the formula to protect the skin barrier, boost hydration and help lock it in. Suitable for daily use and sensitive skin. I bought this a week ago and used it everyday as the packaging states it's suitable for daily use. My face has become extremely dry and irritated to the point where nothing will sooth it. I'm so disappointed as I have never suffered from dry skin before. This product left my skin very dry. I developed white dry patches on my face. Left my skin looking very dull. Since discontinuing the product the patches have disappeared. I was using this for a while and it was fine, face was dry and red after but assumed it was red from the face cloth or something and nothing a moisturizer wouldn't sort. I stopped using it for a while and then using it again my face felt like it was on fire but taught nothing of it; used it again at the weekend and have actual burn marks on my face, they were pussing and now have scabbed over as if it was from heat. gutted about this product as i really thought it might help with my problem skin. but after 2 days of using it morning and evening my skin has became red almost looks sunburnt, spotty on my chin and very dry on my forehead! it feels very tight and stings when putting make up on for work (otherwise id leave me skint o breath)!. Unfortunately I have had to stop using this gel. 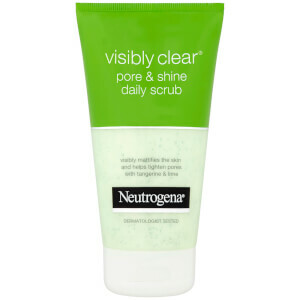 My skin isn't usually sensitive and I wouldn't say I have overly oil or dry skin just normal so really disappointing with this new product as I've used the visibly clear range for years. I bought this about two weeks ago, initially thought it would work well. Unfortunately it made my skin itch and caused tiny spots to form on my chin - this got progressively worse for about one week at which point I realised it was probably the face wash and stopped using it. A week later my skin has returned to normal. I have used other porducts feom this range and loved them so I thought I would try is. It was stated to be gentle and suitable for all skin types. Firstly, an absolute nightmare to get it out of the tube....certainly need muscles! Next the product itself. I used it and felt my skin to be drier than normal, in need of lots of moisturiser. Next day the same, only drier still. Come day four my skin was red and sore as well as dry. It was really stinging and painful when I put my normal moisturiser on....had to wash it straight off. My skin was red, dry, patchy and very sore. Also starting to get flakey. I have stopped using this product and my skin slowly returned to normal...and I mean slowly. I had to use very gentle products and it was still tight and flaking for days...not a nice look. It was extremely unpleasent and quite scary. So i bought this product with high hopes. 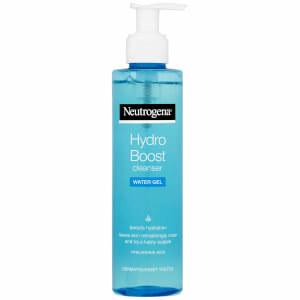 I have heard time and time again how good Neutrogena products are and I was keen to try the hydro boost range. Firstly I found the product to be ridiculously thick and a nightmare to squeeze out of the tube. Secondly after using it my face felt tight which I didn't mind initially as I knew a good moisturiser would sort that out. However as the day went on my skin started to itch but I just ignored it and decided to give the product another go. I have used it now for 4days in total and my face is itchy beyond belief and has become very red and irritated. 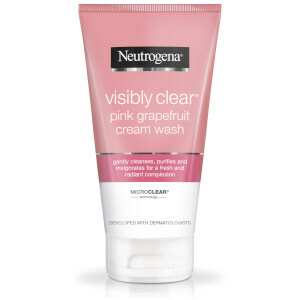 So unfortunately this product has made me very sceptical of using any other Neutrogena products in the future. 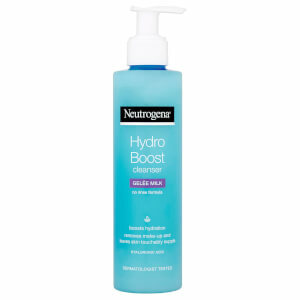 Wow, what a fantastic product Neutrogena Hydro Boost Smoothing Gel Exfoliator is. My first impression was that the packaging looked very classy and modern. I love the fresh blue colour, which is very eye-catching and it makes a great addition to my bathroom shelf! The gel has a delicate, fresh, very slightly perfumed fragrance. It is easy to apply to the skin and I particularly like that that it is not as gritty as many other exfoliators and feels very gentle on my skin. The gel washes off very easily and leaves my skin feeling smooth and refreshed and not at all tight. My teenage daughter tried it as well and has found her acne greatly improved. We will definitely be using this in the future. Very impressed!